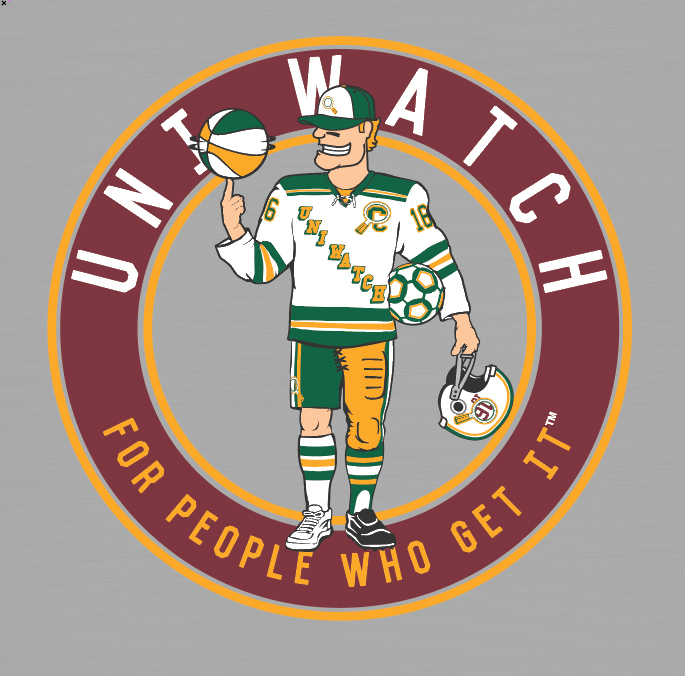 Our final Uni Watch T-Shirt Club offering of the year is a mash-up of uniform and equipment stylings from our previous 2016 shirt designs. Check out our guy in his hybrid uniform — he really, REALLY Gets It™! This beauty of a shirt is available in four colors on short sleeve (grey, black, forest green, military green) and three colors on long sleeve (grey, black, forest green).